Parksville itself is a small city with a large, oceanside community park and a series of fabulous, sandy beaches along warm sheltered ocean water. Qualicum Beach has a charming town centre with miles of beach and sea and the enchanting Milner Gardens and Woodlands exhibiting world renowned gardens. 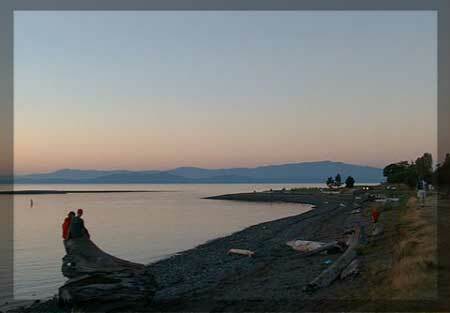 Parksville and Qualicum Beach form the core of the Oceanside communities from Nanoose Bay in the south to Deep Bay in the north of Central Vancouver Island. Eight provincial parks, five regional district parks and hundreds of kilometers of hiking trails and shorelines give Oceanside an ambiance and excitement all year round. With wildernesses and oceans as well as year-round golf or mini-golf, and a growing population of artists, craftspeople and performers producing 140 events annually, Parksville and Qualicum is a great area to visit and live. The Coombs Country Bluegrass Festival, the Brant Wildlife Festival, the Parksville Beach Festival and the Qualicum Beach Fire & Ice Festival, the Old Schoolhouse Arts Centre and the Oceanside Community Arts Council provide an exciting cultural life to both visitors and residents. Located just north of Nanaimo, Parksville and Qualicum can be found by driving north along the Island Highway towards Comox. Local Nanaimo bus lines run through the area, and planes fly via the Qualicum, Victoria, Nanaimo or Comox Airports. BC Ferries runs numerous ferries on a daily basis from the mainland to Victoria, Nanaimo and Comox.